Sand Dollar is the perfect way to bring colour into your home. 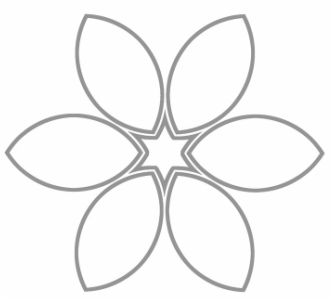 It is a classy and playful pattern. 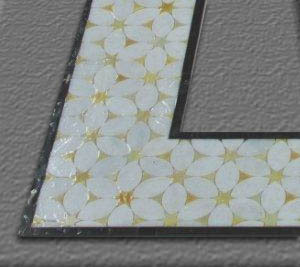 In a small scale Art Glass Mosaic, it creates an unforgettable wall tile. In stone, it brightens a powder room floor. Add a Stone Border to crown the look. ​Art Glass Mosaic colours, Glass Connectables colours as well as stone. The size may vary depending on the materials selected.